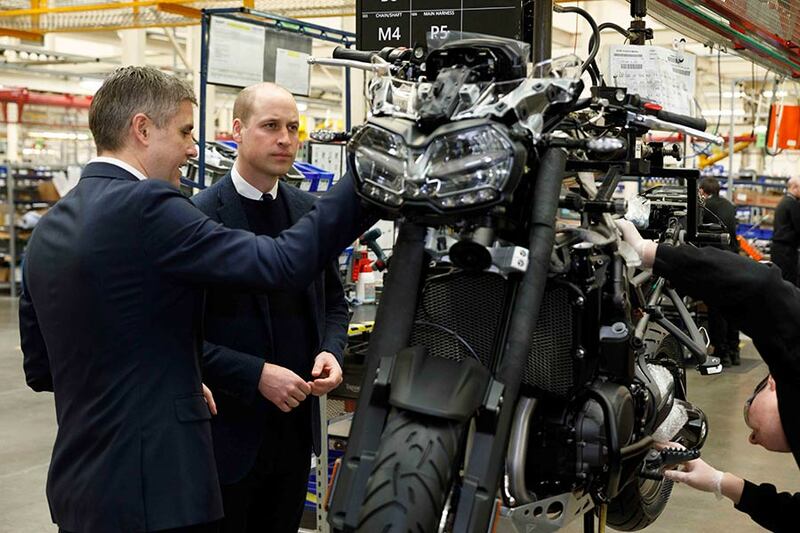 Triumph Motorcycles today welcomed His Royal Highness, the Duke of Cambridge, to its UK factory in Hinckley. 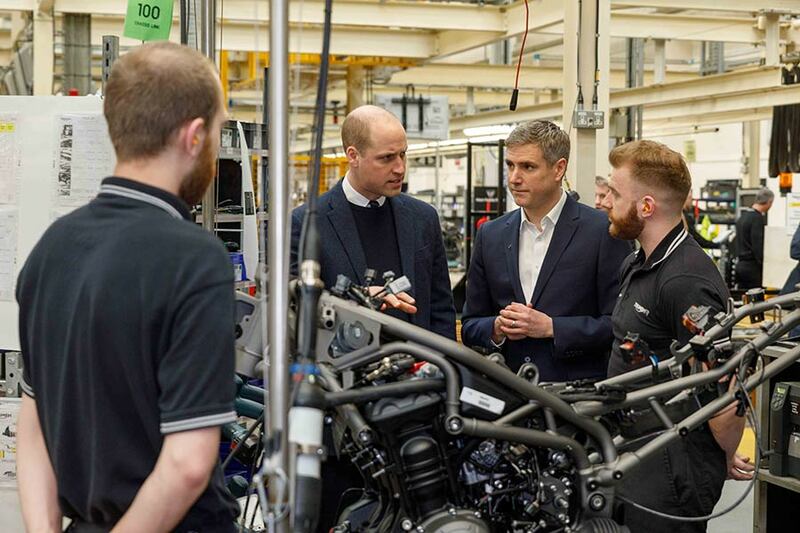 Prince William viewed a brand new, £6 million paint shop facility and even took to the saddle himself on one of Triumph’s newest and most exciting adventure motorcycles, the Tiger 1200. The paint shop, a major new investment at Triumph’s Leicestershire headquarters, will be pressed into operation in the spring of this year. 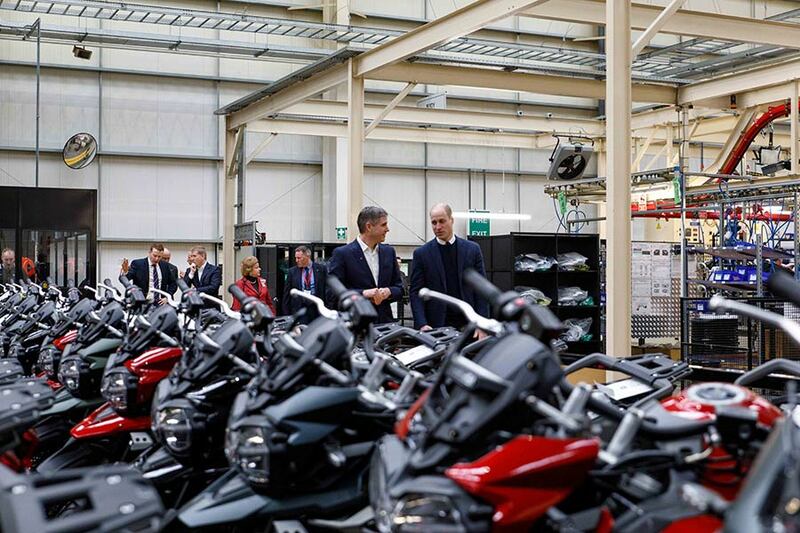 Meanwhile, the Duke took a tour of the rest of the factory as well as Triumph’s Factory Visitor Experience (FVE), which was recently opened to the public. 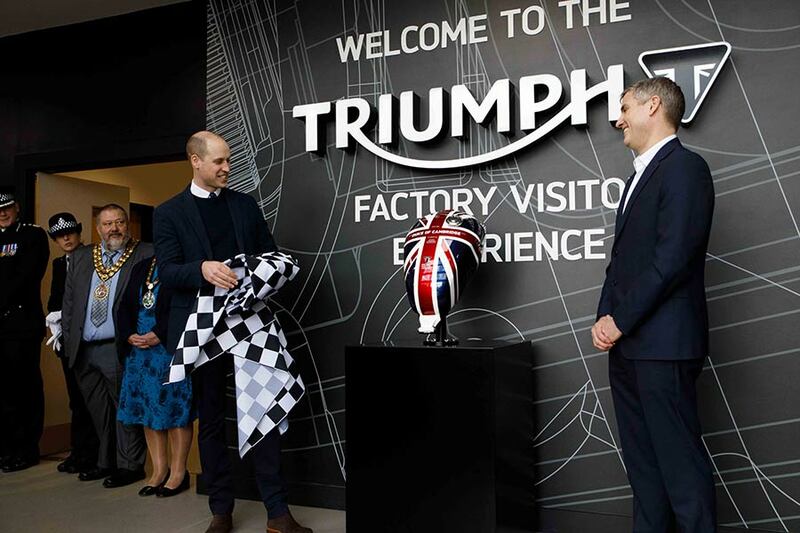 Later, he unveiled a commemorative fuel tank emblazoned with a Union Jack design in Triumph’s striking colours which was hand painted on site by one of Triumph’s official tank painters, to mark the visit and the opening of the FVE. Triumph employs 900 people in the UK and, alongside further plants in Thailand, builds around 67,000 bikes every year. 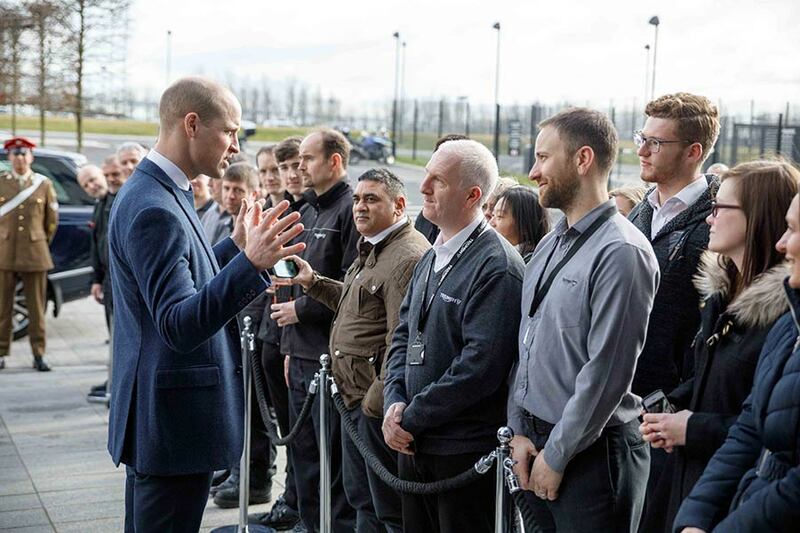 We are extremely happy to see His Royal Highness Duke of Cambridge visit Triumph Motorcycles at Hinckley. 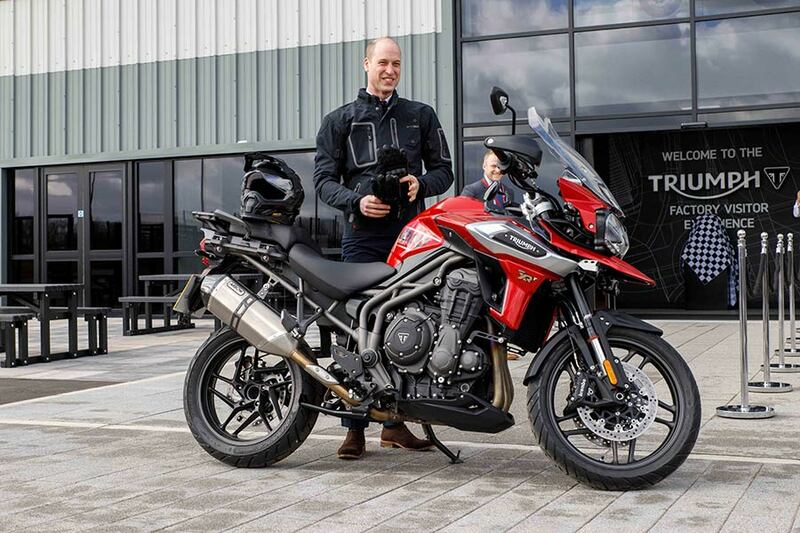 Triumph Motorcycles is truly a brand with a rich heritage and pedigree and it is truly inspirational to see the Prince take the saddle of the all new Triumph Tiger and visit our headquarters. During the visit, the Duke fixed a Triumph badge to the engine of a Triumph Tiger 1200 adventure motorcycle, one of the most recent new Triumph models launched. Known to be a keen biker, Prince William even tried out a Tiger 1200.